Happier & Healthier Sunday Funday! 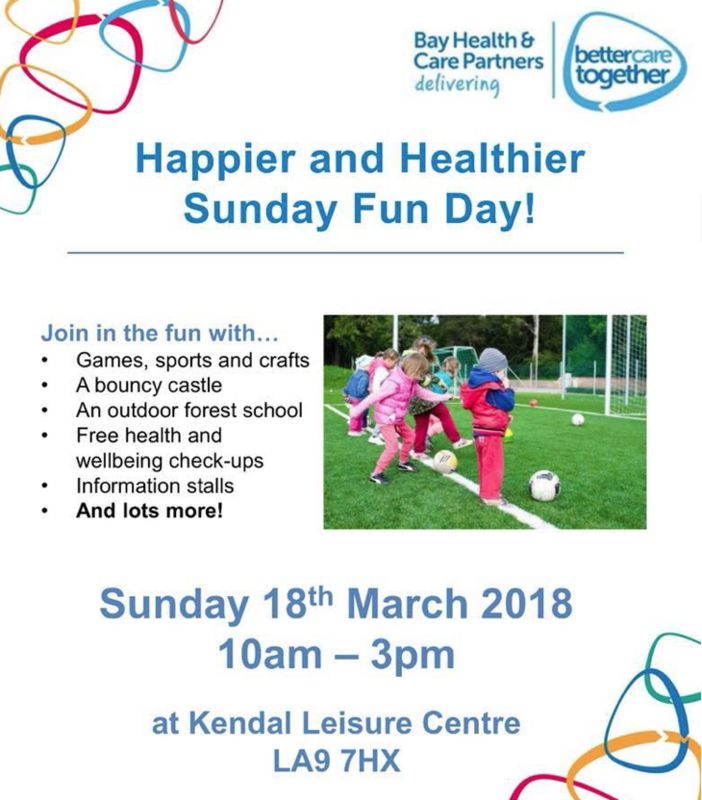 Kendal Integrated Care Community are bringing a family fun day – the Happier & Healthier Sunday Funday to Kendal Leisure Centre this weekend for everyone to enjoy! Expect a fun day of games, sports and crafts with kids activities including a bouncy castle and outdoor forest school. Plus free health & wellbeing check-ups for grown-ups. Kendal Leisure Centre are also offering family swim vouchers on the day so bring your costumes and towels. No need to register before the event, just come along, sign in on the day and then go off and have loads of fun! The local food bank will be present at the event accepting donations, a great opportunity to help the local community.